Way to go! You deserve a Graduation Party! A graduation at any stage in life is such an accomplishment and should be celebrated and celebrated correctly! Whether it is a kindergarten graduation, piano grade 8 graduation, high school graduation, or college graduation you should be proud of yourself. This is a family accomplishment, so always remember to thank and also celebrate your family support throughout your trials and tribulations over the years that helped you grow and become “the Graduate”. Congratulations on your achievements!!! Make a time capsule. Add favorite music, art, books, pictures of friends, etc. Autograph book. Get autographs, personal sayings, best wishes from classmates and teachers. Check out our other Party Themes to help spice up this event. Select something fun and memorable! 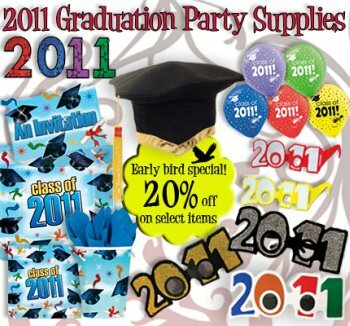 Share Your Graduation Party Ideas and Stories Here!